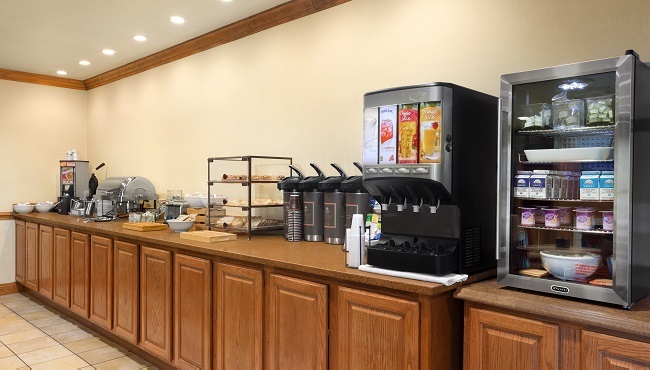 Start your morning strong with the free, hot breakfast at the Country Inn & Suites in Saraland. Choose from a spread that features Belgian waffles, fresh fruit, assorted cereals, hot coffee and chilled juices. When you're ready for lunch or dinner, make your way to one of several nearby restaurants such as Catfish Junction or Ruby Tuesday. Sat-Sun, 7:00 a.m. - 10:30 a.m.